Heyl Royster partners with our clients to generate innovative strategies designed to achieve client goals. We accomplish this by utilizing multiple areas of expertise, firm-wide collaboration and teamwork. Our attorneys are leaders in the firm and the community. We look for bright, personable candidates who want to work in a large law firm with a small firm feel. We generally prefer people in the top third of their law school class, but equally as important are your motivation, communication skills, writing ability, and commitment to client service. Heyl Royster is committed to hiring and retaining excellent attorneys who are dedicated to serving our clients and working in a team environment. Our compensation structure is competitive with other regional law firms and is designed to reward outstanding performance. 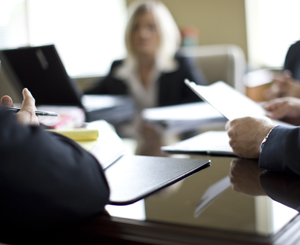 Each attorney receives a formal evaluation on an annual basis. Compensation changes are made at the beginning of each calendar year and are determined by the Board of Directors based on input from partners. Bonuses are discretionary and are based on team and individual performance.